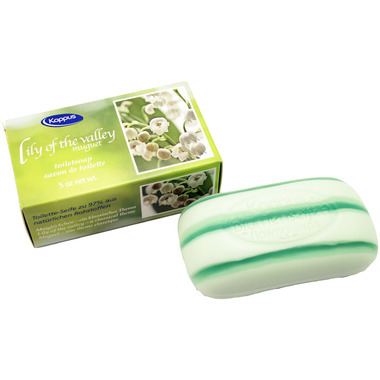 Treat yourself to this beautiful Lily of the Valley scented soap. It also makes a great addition to a gift package. This product has a pleasant aroma that resembles reasonably well lily of the valley. However, this soap leaves a significant amount of residue on the bottom of the bath tub. By the way, the delivery was fast. So thankful to have found a soap bar made with Lily of the Valley (for a very economical price!). This soap smells wonderful, very fresh scent and it leaves the skin of the body hydrated.